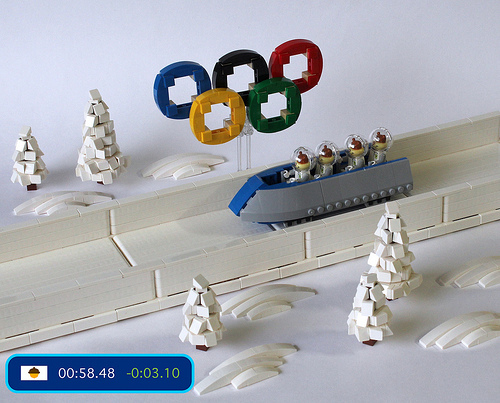 So this LEGO scene by Miro Dudas apparently depicts Space Squirrels competing in a bobsleigh event on the Neptunian moon of Triton. Nope, me neither. Genuinely no idea what’s going on here. But it’s still a fun little creation. Those Olympic rings are nicely done, and the surrounding scenery creates a good sense of a wider landscape. This isn’t the most complex model we’ve ever featured, but it made me smile. Swooshing down an ice track in a tin can at 70 kilometres an hour? Those squirrels must be nuts.